EasyJet has pulled out of the race to take over struggling Alitalia. This leaves the future of the airline uncertain as Delta and the Italian rail operator race to find a new partner in their three-way takeover deal. Loans for the airline are rapidly maturing. The Italian government is expecting a rescue plan to be delivered in little under two weeks. Alitalia is in trouble. The Italian airline has 97 aircraft and flies to 94 destinations, and is a figure of national pride. However, it has not operated on its own two feet for quite some time. In 2014, Etihad invested heavily in the airline to the tune of $1.7bn, taking over 49% of the company. This wasn’t enough to turn things around, and the airline went bankrupt in 2017. Delta would own 15% of the airline. They would focus on developing feeding routes to US cities and expand their influence in Europe against competitors American Airlines and United. Ferrovie dello Stato Italiane would own 30% of the firm and would integrate their rail infrastructure to provide ground transport feeder routes to airports. EasyJet would own the remaining percentage of the business, focusing on short-haul Europe operations and domestic operations. But it seems that this was not to be the case, with EasyJet abandoning talks two weeks before the deadline. Why did EasyJet lose interest? The main reason that EasyJet walked away from the table was that their business model and Alitalia’s business model are at odds with each other. EasyJet operates on a short haul point to point model. You can find very specific routes like Krakow, Poland to Nice, France, or Manchester, England, to Crete, Greece. This allows for cheap and convenient travel options for passengers who don’t want to fly to larger cities before moving inter-country. Alitalia, on the other hand, uses the tried and tested hub and spoke model. They have a main hub in Rome, then focus on routes through four major Italian cities. Essentially, if this airline was to appeal to Easyjet, they would have to completely replace the business model and start from scratch. This is something that they are clearly not willing to consider at this stage. 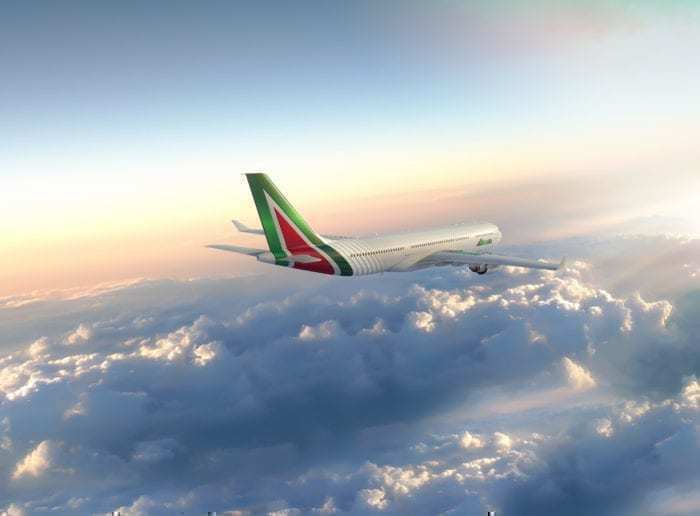 What does this mean for Alitalia? Unless Delta and Ferrovie dello Stato Italiane can come to the table on a 50/50 split, or a new third party joins, the airline is looking like it will be bailed out again on the Italian taxpayers’ expense. Where’s IAG? Surely they’re the ideal holding company? I wonder why DL is investing 15% in to an airline that others, like Etihad, couldn’t help? I wonder if that was because Etihad has their own financial issues. So why has DL invested? Your business model rationale does not seem to make sense. Easyjet knew all Alitalia’s routes before they became interested in investing; they did not just discover it in negotiations. It is more likely that they couldn’t get cost structure concessions they needed. Specifically, the unions wouldn’t agree to reductions in staff, which is why the airline is losing money and up for sale in the first place.